Foreign Exchange Regulation and the CFTC | Forex Brokers Reviews! Foreign Exchange Regulation and the CFTC! The CFTC was originally founded in 1974 and received support from congress to become an independent agency with the authority to regulate the commodities, futures, and options markets in the United States. 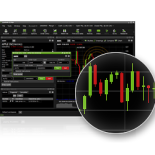 Many Forex service providers recognize the human weakness of greed. People like money, that is a fact of life and they know it. These services use aggressive marketing techniques and false promises that Forex will bring immediate and effortless wealth. This is of course false and it is because of these companies that Forex is associated with other industries that have also been known for negative online activities. One of the ways these activities are battled is by foreign exchange regulation agencies. These organizations set out to regulate the market and eliminate brokers and service providers that do not come through on their promises. One such foreign exchange regulation agency is the CFTC or the Commodity Futures Trading Commission. The agency’s mandate has been reinstated and even increased multiple times since then, most recently in the year 2000 by the Commodity Futures Modernization Act. When the CFTC was originally founded in 1974, the vast majority of activity in the futures market was in the agricultural sector. Since then, it has transformed and been widely adapted across industries with the financial sector dominating the futures trading arena. The CFTC, as foreign exchange regulation agencies go, states that its mission is to “assure the economic utility of the futures markets by encouraging competitiveness and efficiency, protecting investors from fraud, manipulation, and abusive trading practices.” The CFTC also explains that they ensure financial integrity of the licensing process when it comes to futures service providers. The CFTC plays an important role in the US futures market as well as its siblings, which include Forex and commodities. While these markets do enjoy greater independence than the Stock Market for example, too much freedom apparently cause opportunists to take advantage of the public by making empty promises. It is for this reason that foreign exchange regulation is such a crucial part of this space and the CFTC plays an important role in the task of regulating the various markets so they can remain a fair and leveled playing ground. Much has been said about the lack of regulation that exists for the Forex market. Foreign exchange regulation is a tricky topic. On the one hand, a lack of a central regulatory body provides flexibility and freedom, which enables anyone to trade the market. On the other hand, it leads to hundreds if not thousands of fraudulent service providers that have been known to blatantly steal money from their clients. Whether or not you are a fan of Foreign exchange regulation, the agencies who do regulate the market such as the ASIS, have an important job that they carry out very effectively. The ASIS or the Australian Securities and Investments Commission is the body responsible for regulating the Australian corporate, markets, and financial arenas. As the ASIS site explains, the organization’s main concern is to ensure full transparency and fairness in Australia’s financial markets. The ASIS is a foreign exchange regulation agency that is an independent commonwealth government body. It receives it authority and administers the Australian Securities and Investments Commission Act (ASIS act). It also carries out and implements most of its work under the corporations act. • Maintain, enhance, and facilitate the high quality performance of the Australian financial system and its entities. • Promote active participation by investors and consumers in the financial system. • Oversee the legal issues of the financial arena to ensure a minimal amount of official bureaucratic issues for the trader. • Enforce complete transparency when it comes to information pertaining to Australia’s financial entities. Every country has its Forex trading sessions and therefore requires a foreign exchange regulation body. The ASIS is the sole authority or regulatory body of Australia, which has a very strong presence in the global financial markets. The ASIS has the authority to ensure fair and transparent trading and as foreign exchange regulation agencies go, the ASIS continues to conduct itself with the utmost level of professionalism, something that is very needed in the Forex market. ASIS has the authority to regulate Australian companies, financial markets and services, as well as professionals who are involved in investments, insurance, and deposit taking and credit. In addition, as the corporate regulator, the ASIS is also responsible for ensuring that company executives carry out their duties with integrity and in the best interests of the company. As the regulator of the markets, ASIS assesses how effectively authorized financial markets are complient with their legal obligations to operate fair, orderly and transparent markets. They also advise the Australian Minister about authorizing new markets.